Margie is an accomplished senior executive and dynamic leader in the region’s banking industry, and has been for over thirty years. In the banking sector, she has a proven record and expertise in upper-level management, lending, operations, and executive management; all in challenging and competitive work environments. Margie’s familiarity of corporate best practices has allowed her to bring her wisdom and knowledge to Spectrum Service’s Board of Trusties. 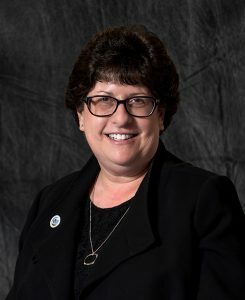 Professionally, Margie is highly motivated to achieve results and exceed expectations, and she expects nothing less of herself as a Spectrum Services Board member. Margie had been involved in both Ulster and Dutchess Counties serving on non-profit Boards and volunteering for many Community Support Services agencies. She came on the Spectrum Services board at the request of co-founder Susan Buckler, where over coffee they realized they had so much in common. It was a natural progression for Margie to join Center for Spectrum Services. Margie is an innovative leader and team builder with proven leadership qualities. On top of serving on Spectrum Services’ Board of Trustees, Margie is an active member of the community in many areas, and because of that, admired and respected by those who know her.